The second of five e-newsletters was released today by ASSEMBLE Plus. 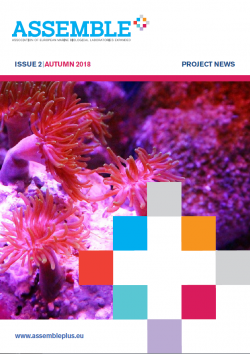 The newsletter is intended to inform partners and stakeholders of developments within the project, providing information on ASSEMBLE Plus workshops, news and upcoming events. If you would like your story to feature in the next newsletter, please contact the ASSEMBLE Plus Communication Officer, Georgia Bayliss-Brown.